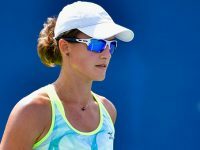 Arina Rodionova reached the main draw of Tianjin Open WTA tournament. Arina beat [WC]W. Zheng and H. Kuwata in two matches of qualification. In the first round of main draw Arina will play against Spaniard S. Sorribes-Tormo.